Millions Excluded By Language Barrier From Clinical Trials : Shots - Health News In the U.S., Alzheimer's clinical trials are largely limited to fluent English speakers, which leaves millions of patients without the opportunity to participate and scientists without diverse data. Getting people of different ethnicities and cultural backgrounds into clinical trials is not only a question of equity, doctors say. It's also a scientific imperative to make sure candidate drugs work and are safe in a broad cross-section of people. My grandmother, Bella, a former nurse in the Ukraine, moved to the United States to help raise me when I was 7 months old. She was diagnosed with Alzheimer's disease last year. There was nothing to do to prevent her inexorable loss of memory and independence, her Massachusetts General Hospital memory specialist told our family, except to take a drug called memantine that slightly improves cognition in Alzheimer's patients, but does not treat the underlying disease. Only one other type of drug, which acts on how nerve cells communicate, has been approved to treat the cognitive problems that come with Alzheimer's. Notably, both drugs have been around more than 15 years. And neither one changes the course of the disease. While there are no drugs to treat the underlying disease, there are a number of clinical trials underway. And those trials are in desperate need of patients to enroll. Trials can be risky for patients and are far from guaranteed to help them, but there is no other way medical researchers learn whether their experimental therapies are safe and effective. But it turns out that many patients like my grandmother, who do not speak English fluently — and millions of other immigrants, mainly Spanish speakers — can't participate. According to interviews with doctors, government officials and pharmaceutical companies, few Alzheimer's studies include medical interpreters to help patients complete the specialized neuropsychological testing component required. One of the challenges is that clinicians and researchers have strongly cautioned against using interpreters to facilitate neuropsychological testing based on clinical experiences, observations and anecdotal evidence that they affect outcomes, according to a study published in Clinical Neuropsychology. Dr. Benjamin Sommers, who studies health policy for vulnerable populations at the Harvard T.H. Chan School of Public Health, says the problem goes beyond clinical trials and affects diagnosing as well. He recently had trouble arranging for neuropsychological testing to diagnose a Spanish-speaking patient who did not speak English fluently. The language barrier is a "real issue for mental health disparities," says Sommers, who is also a primary care physician at Brigham & Women's Hospital in Boston. "It's very hard to find a hospital in the [Boston] area that does Spanish-language dementia testing," he says. "There are months-long waiting times — sometimes up to six months. And sometimes such testing is not available at all." 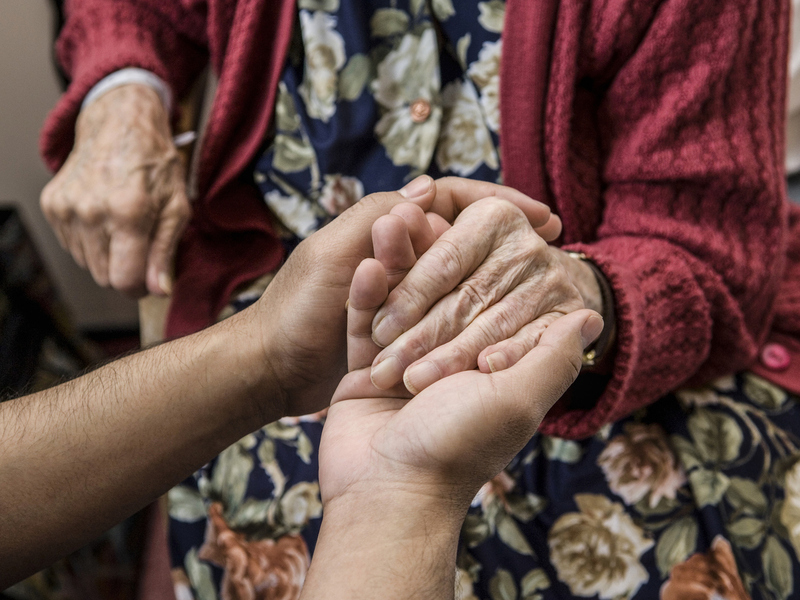 The barriers to Alzheimer's trials may be felt most acutely by Hispanics in the U.S. According to census data, almost 6 million Americans age 60 or over, including about 2.2 million Spanish speakers who are 65 or older, do not speak English very well. The challenges are likely to get worse in the coming decades, says Jason Resendez, executive director of LatinosAgainstAlzheimer's and chief of staff at UsAgainstAlzheimer's, an organization that lobbies to find a cure for the disease. Latinos represent the country's fastest-growing over-65 demographic and are predicted to be 50 percent more likely to get Alzheimer's than non-Latino whites, according to a report released by the University of Southern California, he notes. "We know Latinos will make up a bigger and bigger share of the community living with Alzheimer's in the future," Resendez says. "And we know that we don't have the workforce pipeline in place to accurately diagnose and enroll these folks into cutting-edge research." Getting people of different ethnicities and cultural backgrounds into clinical trials is not only one of equity, Resendez says, "it's also a scientific imperative. We need to know whether a drug developed for Alzheimer's is going to work the same in Caucasians as it does in African-Americans and other cultures." UsAgainstAlzheimer's has launched an initiative called the Alzheimer's and Dementia Disparities Engagement Network that aims to track disparities in access to Alzheimer's and dementia care for minorities and display them publicly on a ZIP code map. "We'll be able to look at whether there's language-accessible services and research in these areas, and if not, what we can do about it," Resendez says. "We think that making the data accessible and actionable is going to be the foundation for addressing these issues at a national level." LatinosAgainstAlzheimer's is also helping build the government's new Latino task force on Alzheimer's, whose goal will be to determine how to improve outreach and recruitment in the Spanish-speaking dementia community, he adds. Currently, there seems to be little government policy on the issue. Dr. Eliseo J. Pérez-Stable, the director of the National Institute on Minority Health and Health Disparities, says that the National Institutes of Health has no policy on clinical trial access for non-native English speakers, while acknowledging that it would be humane to include them. "I don't think we have an easy answer for this yet," he says. A glimmer of hope for non-English speaking dementia patients may lie in the work pharmaceutical companies such as Eli Lilly are doing. Joe Kim, senior adviser in patient experience and design innovation at Eli Lilly, says that his team is exploring telemedicine as a way to enable broader access to clinical trials. "If we can virtualize trials and allow patients to enroll remotely, not only would it lower the burden on patients but it would also expand the patient population that's eligible for the trial." Kim is optimistic that in the future, a group of patients more representative of the American population will have access to clinical trials. "We've done one virtual trial already, and we found we can get a more diverse population," he says. "With the rise of digital health care, I think we have a lot of tailwind. This will enable medical care to be democratized." Meanwhile, time is not on my grandmother's side. I have noticed in our weekly phone conversations that she is forgetting common words and idioms in Russian. They are on the tip of her tongue, but beginning to recede from memory. Indeed, she herself is receding. Josh Eibelman, a junior at Cornell University, was born and raised in Boston. You can email him here.